NATIONAL JELLY BEAN DAY IS ON APRIL 22: Celebrate! 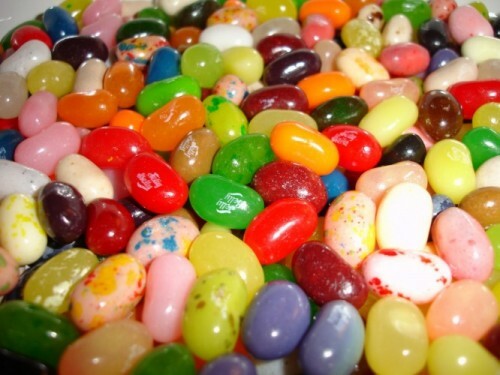 April 22 is National Jelly Bean Day – the day to celebrate everything about the jelly bean. Jelly Belly the original gourmet jelly bean® is the best loved of all jelly beans and a true icon in the confectionery world. Here are some random facts about Jelly Belly jelly beans. Created in 1976, the Jelly Belly was the first jelly bean to be sold as a single flavour. The collection comes with a menu of flavours. The original eight flavours of Jelly Belly beans were Very Cherry, Root Beer, Cream Soda, Tangerine, Green Apple, Lemon, Liquorice and Grape. There 50 “official” flavours of Jelly Belly jelly beans and 130 different flavours in total. World-wide, Very Cherry is the most popular flavour of Jelly Belly beans. It tops the poll in the UK as well. Blueberry flavour was created to match the blue in the American flag at the time of Ronald Reagan’s presidential inauguration in 1981. Over three tons of red, white and blue Jelly Belly beans were shipped to the White House to add to the festivities. Jelly Belly BeanBoozled has been called the Russian Roulette of Jelly Beans because delicious beans are identically paired with awful flavours so you don’t know what you’re getting until it's too late! 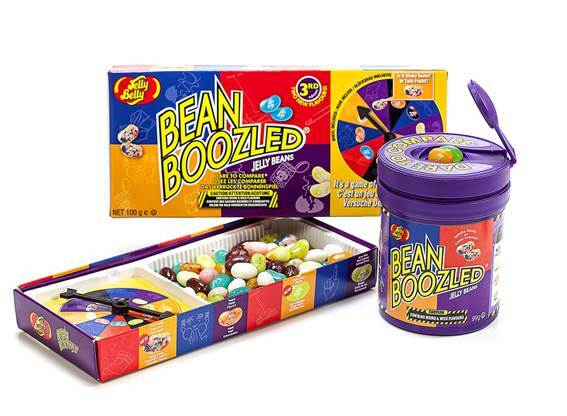 There are over 1.8 million You Tube videos uploaded by fans who took the BeanBoozled Challenge. It can take 21 days to create a single bean. Each part of the process is incredibly important and designed to enhance the flavor and texture of the Jelly Belly bean. In between each stage there is a “resting” period to allow the flavours to develop. That is why it takes so long. A Rookie Flavour is a Jelly Belly bean introduced on a limited trial each year. If they prove sufficiently popular they replace four flavours at the bottom of the popularity league. Current Rookies are: Lime, Draft Beer, TABASCO®, Champagne, Lychee and Chili Mango. Jelly Belly uses natural flavours whenever possible, for example fruit purees in Raspberry, Blueberry, Peach and others. Other primary ingredients are sugar, corn syrup, modified corn starch and confectioner's glaze. 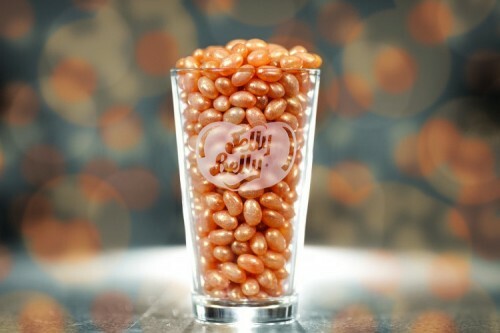 There is no fat in Jelly Belly beans and each bean is just 4 calories each. They are free from wheat, gluten, dairy and nuts and are suitable for vegetarians because they contain no gelatin. What makes Jelly Belly different is that standard jelly beans have no taste in the centre – Jelly Belly beans are flavoured inside and in the shells. They are also smaller, have more intense and exotic flavours than traditional beans and flavours are sold individually. Each jelly bean has the Jelly Belly name imprinted on it. Nothing else will do. To get the best from Jelly Belly jelly beans, you eat one at a time, savouring the flavour of each one and experiencing the intensity of the taste. They really are true to life and taste like the real thing. Or you cancombine flavours to create a recipe. British fans are brilliant at creating flavours and register their ideas all the time. It’s very difficult to become a Jelly Belly.The process from the idea to the actual bean being created can be as long as two years. Sourcing the right ingredients and creating a recipe of exact requirements is the first hurdle. Then the experiments start and hopefully an act of genius occurs when exactly the right flavour emerges that is both delicious and recognizable. The Jelly Belly Tasting Panel all have their opinion which general leads to tweaks here and there. Once the bean is created it becomes a Rookie. Who knows about its destination after that? A blockbuster perhaps or just a steady bean with a good following? Or maybe it just becomes a Has Bean. Over 2,000,000 Jelly Belly beans are created each hour and over 16 billion beans per year. Over 16,000,000,000 Jelly Belly beans will be eaten worldwide in 2015. That’s enough to circle the earth 4 times. If all the Jelly Belly beans eaten in the last two years had been placed end to end, they would reach further than the moon (roughly 366,000 kilometres). Jelly Belly Candy Co. is a 5th generation family owned company which was originally called Goelitz Confectionery and founded in 1868 by two brothers, from whom the current Chair is descended. 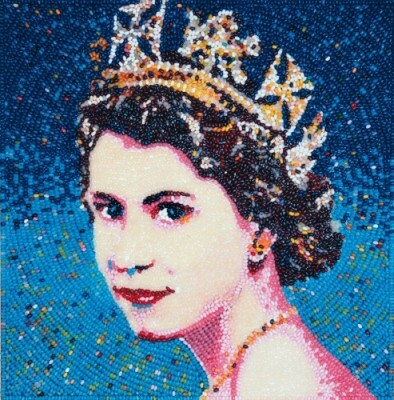 Jelly Belly Art is a unique creation made entirely from Jelly Belly jelly beans. You can see a selection of them here or watch the latest video out of the U.S.